McGraw-Hill Higher Education (MHHE), a division of McGraw-Hill Companies, Inc., is a leading innovator in the development of 21st century teaching and learning digital solutions for postsecondary and higher education markets worldwide. Based in the United States, the company also services Asia, Australia, Canada, Europe, India and Latin America. 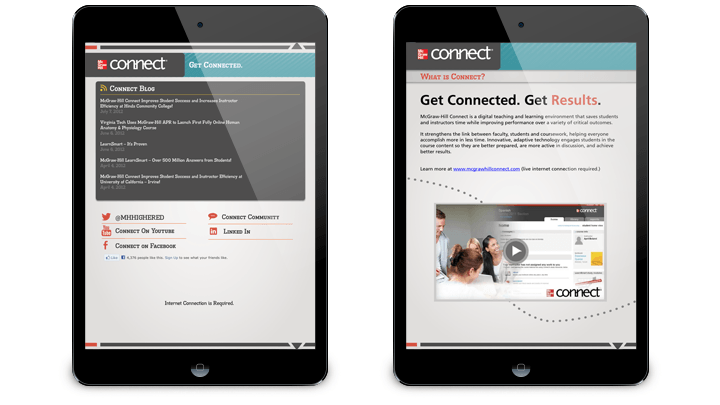 MHHE wanted to furnish its sales force with an interactive iPad application to better showcase the digital solutions available to collegiate students and educators. MHHE decided to use the Adobe Digital Publishing Suite along with Adobe InDesign to allow its creative staff to manage and develop content for the application. DPCI was retained to provide Adobe DPS consulting services to facilitate the creation of the MHHE iPad application. DPCI consultants began with a review of MHHE’s visual concept, wireframes and desired interactive elements and provided recommendations based on digital publishing best practices. DPCI then prepared for the onsite training, incorporating MHHE’s interactivity goals into the training exercises. Next, DPCI provided Adobe InDesign and Digital Publishing Suite training to the MHHE designers and worked alongside them to ensure they knew how to compose the interactive elements independently. DPCI also guided MHHE through the Adobe Digital Publishing Suite workflow from start-to-finish, including Apple provisioning, signing onto DPS, validating assets and metadata, building the DPS application, designing materials, testing and finally launching on the Apple App store. DPCI provided technical support through the whole process to ensure a smooth launch. 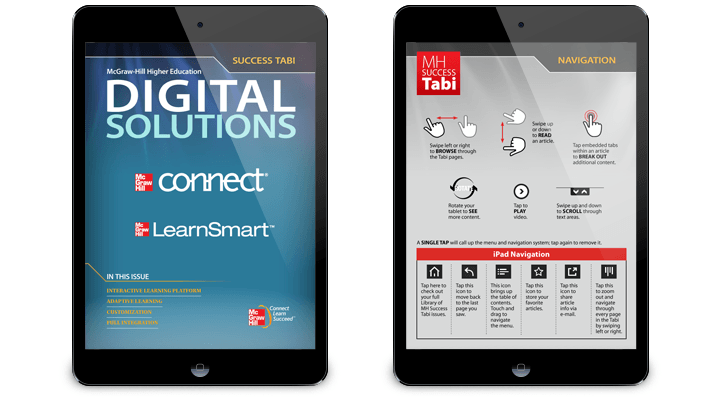 The McGraw-Hill Higher Education iPad application, entitled ‘McGraw-Hill Success Tabi,’ launched in October of 2012. The interactive application provides educators with a preview of cutting-edge products and solutions offered by MHHE. The application’s user interface includes a store for potential customers to download and interact with product and solution brochures. 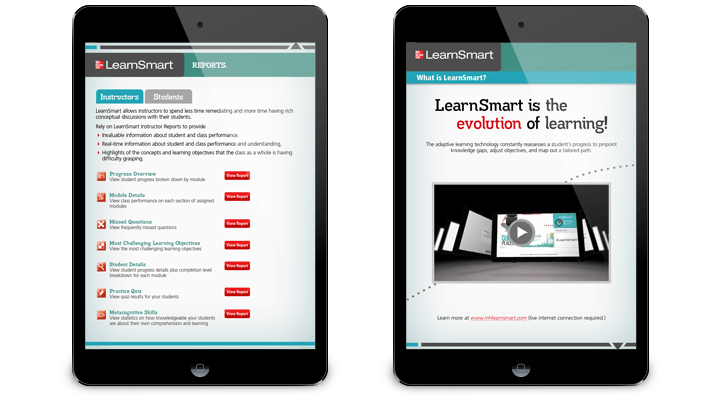 Within the digital brochures, users can explore case studies, video content, statistics, visual walkthroughs and product reviews from students and instructors. The analysis conducted by DPCI was extremely well done, detailed and comprehensive and we are actively following their guidelines to improve our current practices.